We had another four inches of snow today. Doesn’t sound like a lot, but when you add it to the rest we’ve already had this year, it comes to more than 15 feet. 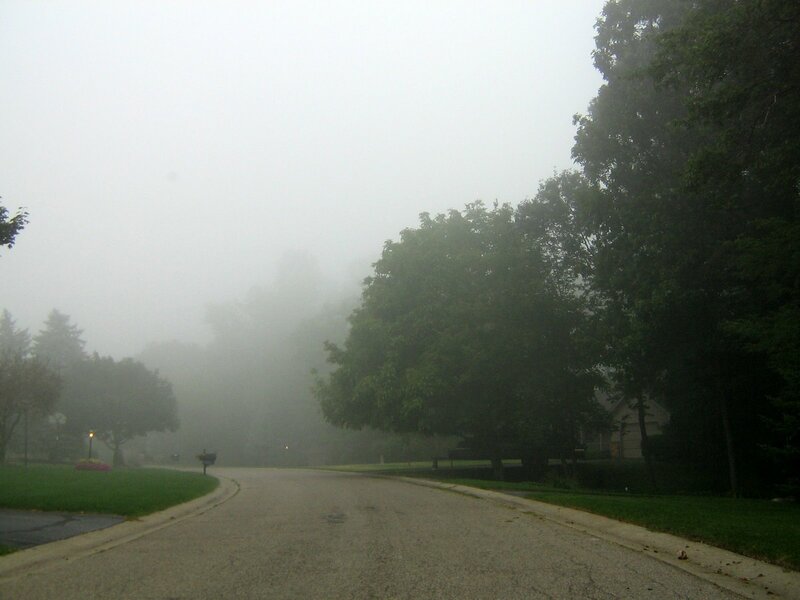 I found this image of a foggy street in the neighborhood, taken early in the morning on my way to work last year, before I retired. It made me wish for spring again, as this street is now snow-covered and slippery. It also made me appreciate this image all over again. There’s something magical about fog. Oh, certainly not the driving in it, but the way it alters the mood of the light, and makes ordinary things appear, for a moment, almost magical. There must be a short-story in there somewhere, too. This entry was posted on February 21, 2009 at 10:44 pm and is filed under Storytelling. You can follow any responses to this entry through the RSS 2.0 feed. You can leave a response, or trackback from your own site.